It’s finally beginning to feel like spring! One of our favorite things to learn about in the spring is flowers. We love to visit the nursery and learn about the different types of flowers, plant seeds around our playground and watch them bloom, and do a lot of themed activities. 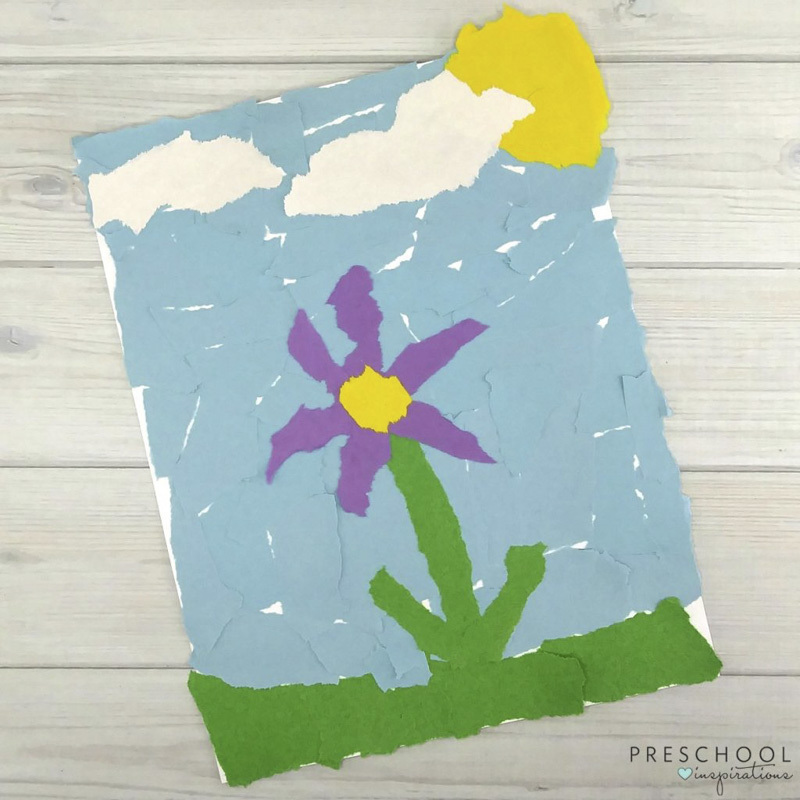 These torn paper flowers for kids are so fun, and what a creative process art activity that your students are sure to enjoy. 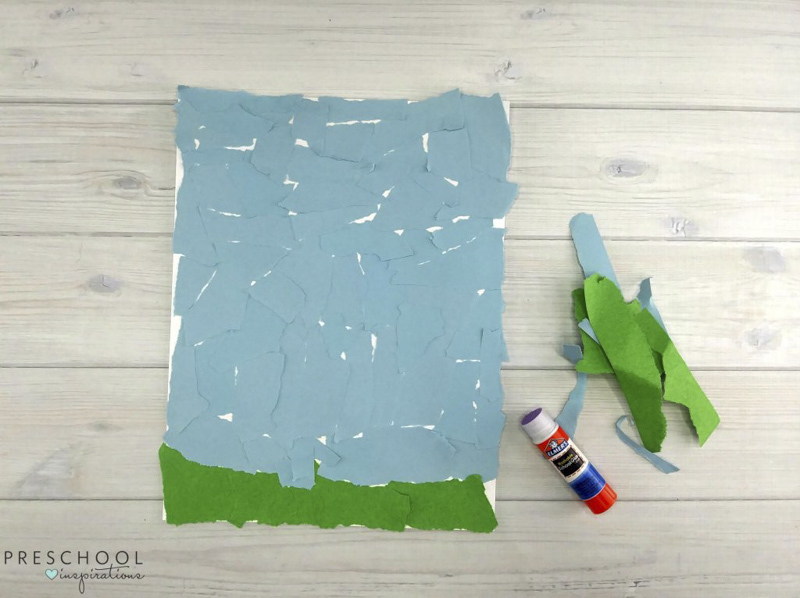 This spring process art activity is simple and inexpensive to create. 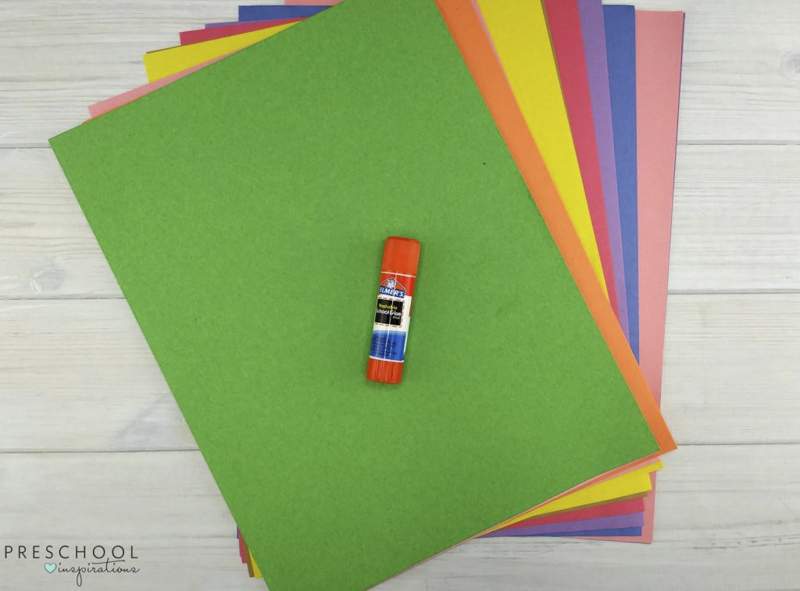 If you don’t already have all the supplies in your classroom, you can usually find everything you need at the Dollar Store. First, the children will tear construction paper into pieces. I always tell my students that the pieces can be any size and shape. Next, they will glue the pieces of construction paper onto a sheet of card stock or another thick paper. You want to use a thick sheet of paper to secure the pieces of construction paper and so the glue doesn’t soak through. 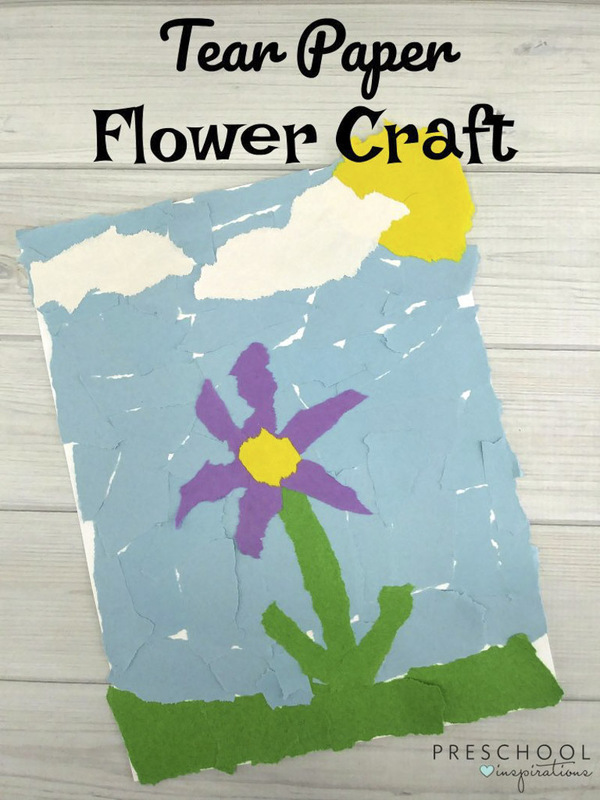 Then, your students can use the pieces of torn construction paper to create any type of flower that they have seen or create their own plant. This activity can be adapted and added to any unit or your students can create their own abstract art anytime of the year. Not only do young children love tearing paper and the sound that it makes but there are many benefits to doing process art activities like this one. It encourages preschoolers to use fine motor and coordination skills. Your students will have to hold the paper between their thumbs and pointer fingers of each hand. They will need to move each hand in a different direction, which can be difficult for young children. These torn paper flowers for kids make up a fun process art activity and will be a great addition to your spring or plant unit this year.